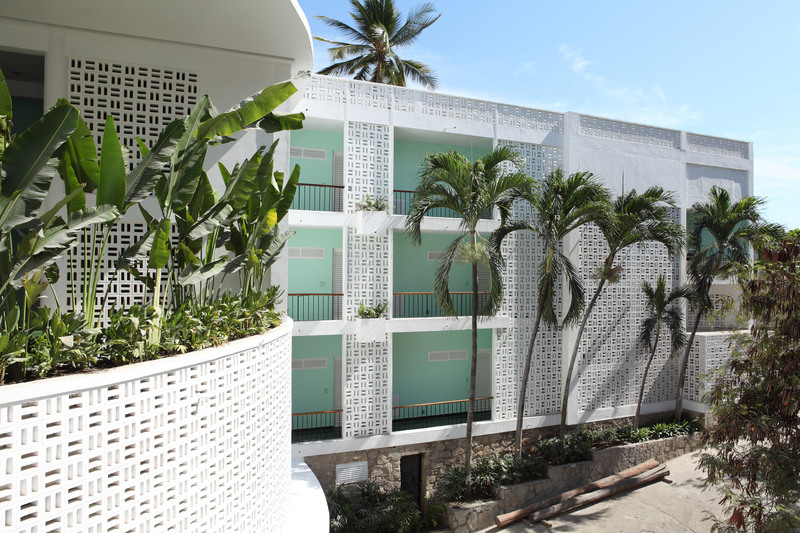 Situated on the Pacific coast of Mexico in the beach town of Acapulco, Boca Chica Hotel is a renovation project born of a collaboration between Escobedo and her friend José Rojas. The hotel was originally constructed in the late 1950s at a time when the small town was a popular holiday destination for Hollywood celebrities. “It was a renovation project but it was almost like an archaeology project,” the architect told Dezeen in this video, which is the fourth instalment in our series about the Mexican architect. 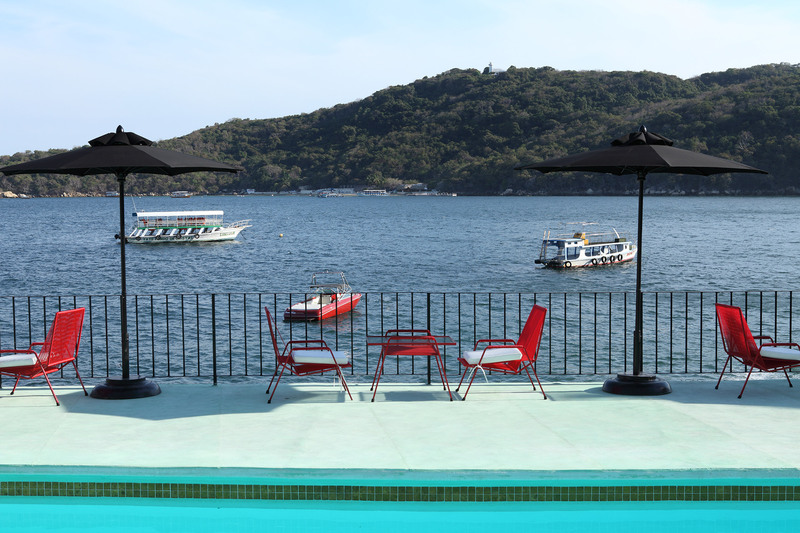 “It was a hotel built in the fifties in the old part of Acapulco where the original jet set used to travel,” she added. 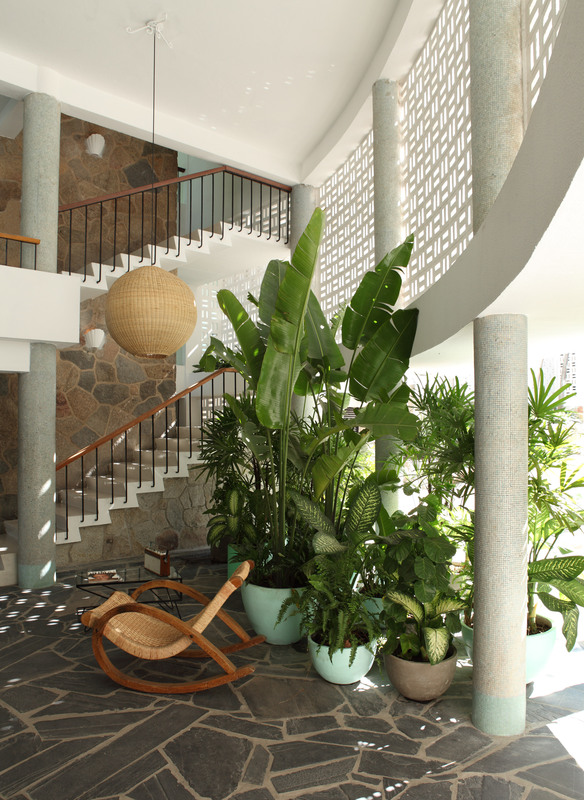 Rather than simply restoring the hotel in its original style, Escobedo and Rojas chose to reinvigorate the hotel. The duo designed interventions to activate the spaces, including adding brightly coloured furniture and a nightclub. “It was more like reorganising the spaces and finding little public spaces that we could re-appropriate and repurpose for the hotel,” she said of her approach to its design. 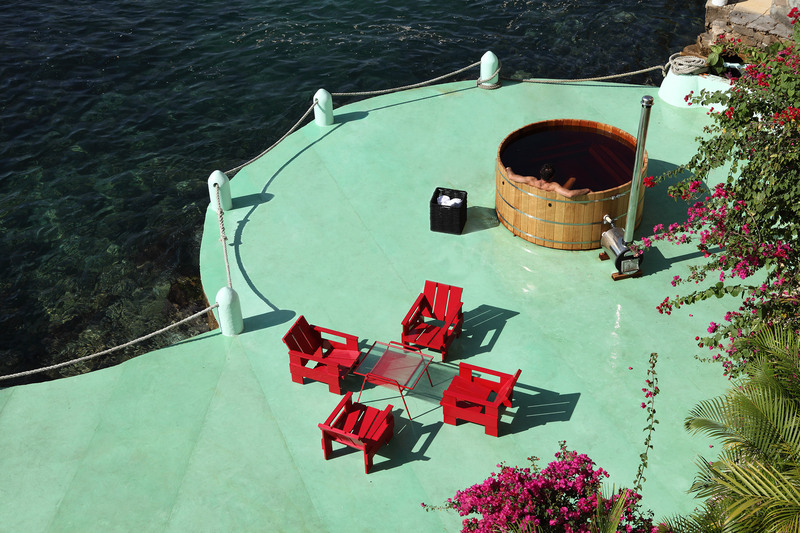 One of the hotel’s most recognisable features is its mint-green waterside deck, which is populated by red lounging chairs. 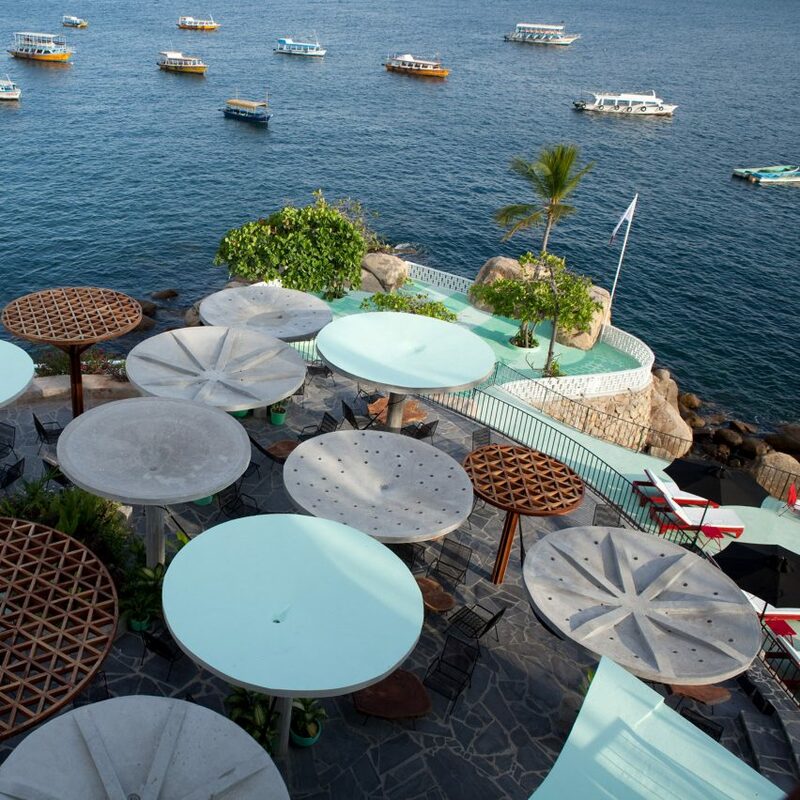 Nearby, on an elevated terrace, concrete parasols provide shade for hotel guests and cast patterns across the stone paving. 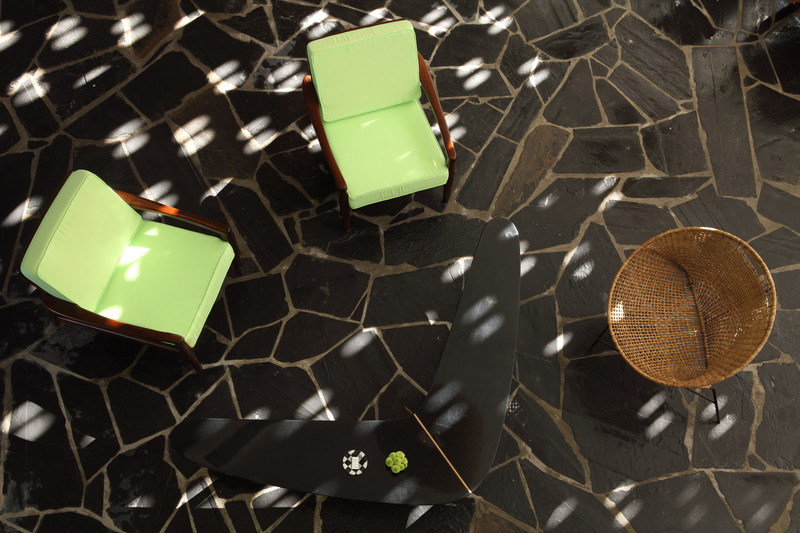 The use of contrasting colours and textures continues throughout the hotel’s interiors. 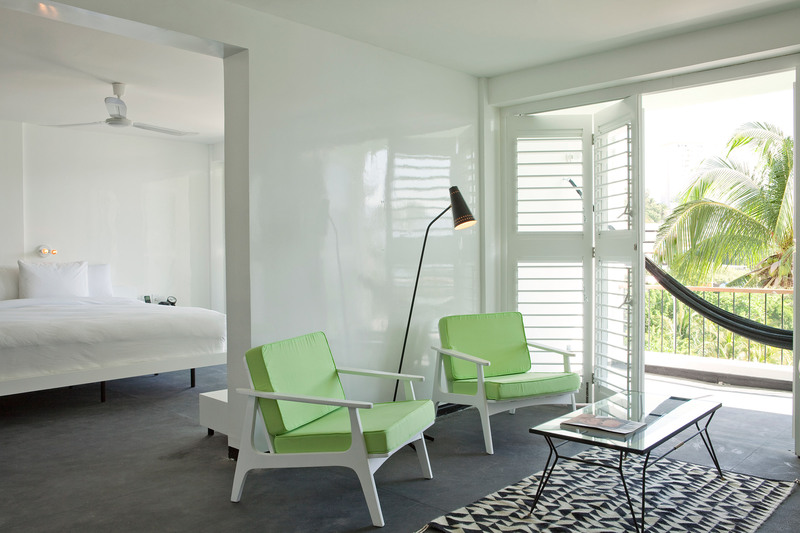 The floors of the bedroom are a rough, concrete-like material, while the walls are finished in a smooth white paint that reflects the landscape outside. This playful experimentation with materials has become a signature of Escobedo’s designs, evident also in La Tallera and her first project Casa Negra, and has earned her studio international recognition. In 2018, Escobedo was invited to design the Serpentine Gallery Pavilion and became the youngest architect to have been commissioned for the project. She is one of the judges for Dezeen Awards 2019. “Hotel Boca Chica was a really fun project that I did with a very dear friend, José Rojas, who is working now as an artist. He runs this amazing gallery, House of Gaga, in Mexico City. “It was a renovation project but it was almost like an archaeology project. 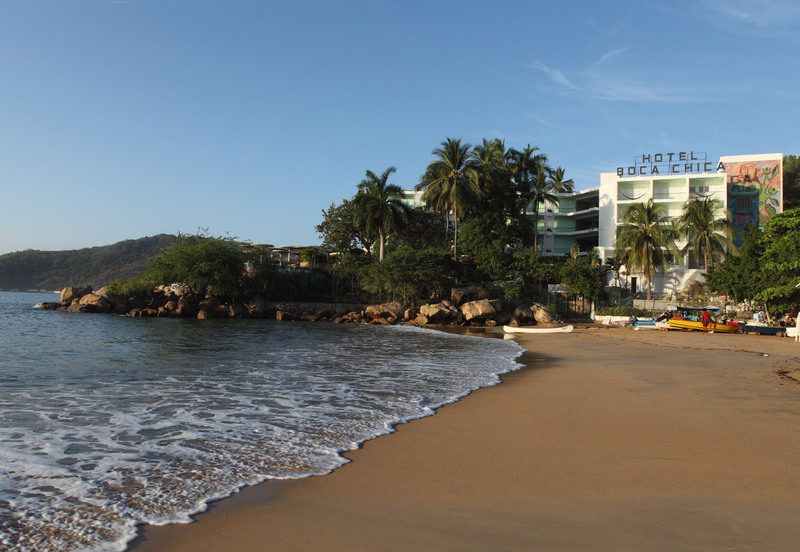 It was a hotel built in the fifties in the old part of Acapulco where the original jet set used to travel. And it was more like reorganising the spaces and finding little public spaces that we could re-appropriate and repurpose for the hotel. “So we designed this bar that has these concrete umbrellas that provide shade but also create these patterns on the floor. It can be used as an event space but also as an informal bar. The kitchen was renovated and turned into a nightclub called Coco Wash, which kind of means ‘brainwash’ in Spanish. “And we just created different textures in the rooms, for example, we used a very smooth surface for the walls. When you’re in the bedrooms you have a very rough floor. “It’s like concrete: it’s very rough to the touch but then there’s these reflective walls that really bring in the landscape. It’s white but at the same time it reflects either the vegetation outside or just the sea that you’re facing. So it’s a really nice subtle way to incorporate the landscape into the bedroom. Photography is by Undine Prohl. 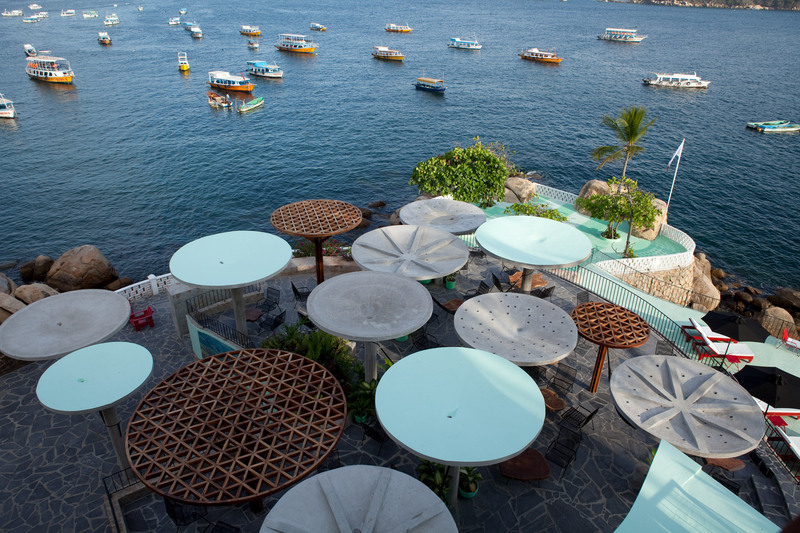 The post Boca Chica Hotel was “like an archaeology project” says Frida Escobedo appeared first on Dezeen.